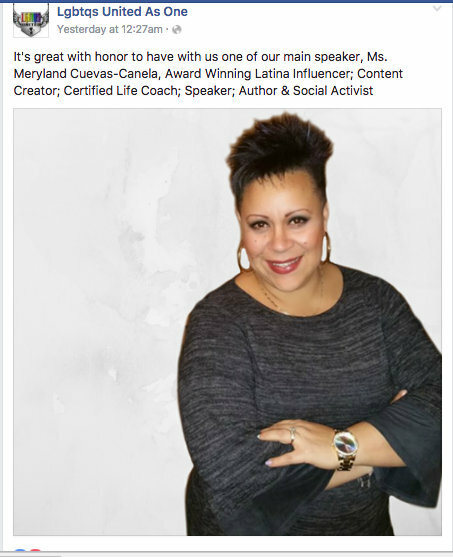 I’m happy and honored to be one of the speakers at this important event. I hope you can join us and together unite our voices in favor of Equal treatment, respect, protection and love for all of us as One. 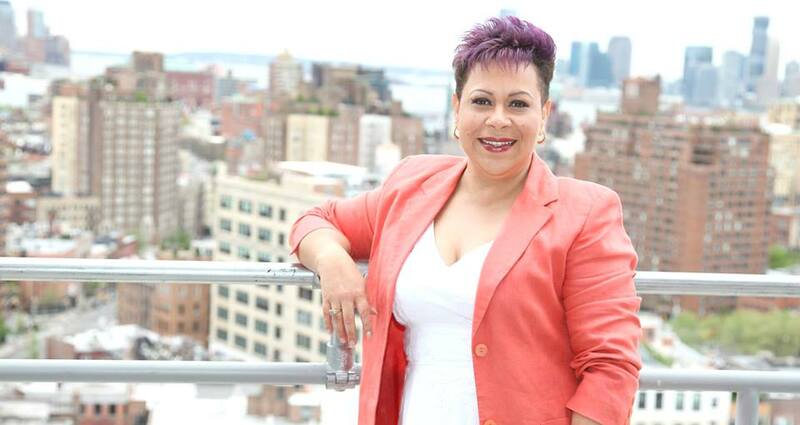 Gay and straight leaders are rallying to combat violence against the gay/straight community in New York City. 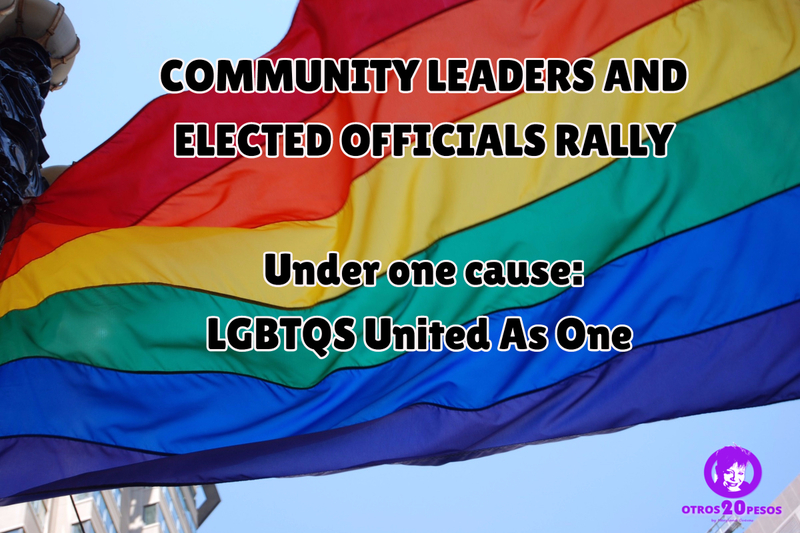 Called the LGBTQS United As One Rally, this non-political event is being organized by Rev. Carmen Hernandez and community leaders. 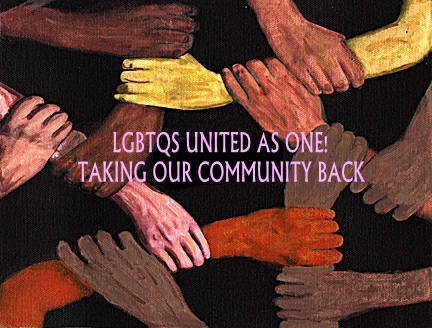 The LGBTQS United As One Rally also comes on the heels of suicides by young LGBTQS people related to their sexuality and targeted violence against straight residents for “looking” gay. Gay/Straight, Disabled, Immigrants, City Officials, Transgender, women and men of faith, Victims of any kind, especially bully, performers, great speakers all walks of life will be present to show the unity as a one community. The event will take place on Saturday, April 1, 2017 from 1:00pm to 4:00pm. The meeting will be set up at the Bronx Supreme Courthouse (851 Grand Concourse “East 161 Street and Grand Concourse, Bronx, NY). The participants are very diverse and include victims and families of victims of anti-LGTBQS discrimination and violence, grassroots activists, national gay and lesbian leaders, clergy members, elected officials. Participating groups, politicians, performers, speakers and other public figures include: Stratford Community Services “Kids”, NYC LGBTQS Chamber of Commerce, Metro Plus-Maribel Mercado, Sara Kana, Cindy SugaRush, Diamond Galarza, Julieanna Estrada, Group Folklorico Washington Heights, Henry Picado, Michael Michael, Jael Espino, Lorraine A. Cortes-Vazquez, Rev. Dr. Zorina Castello, Marlow White, Meryland Cuevas-Canela, Josephine Luna-Turpin, Marc Battpaglia, Antonio C. Martinez II, Lulu Destiny Rios, Damey Rivers and Raheem Morris, Diza Letellier, Shannon Lee Gilstad, Juri Liani Arere, David Anthony, Michael Beltzer, Samelys Lopez, Letitia “Tish” James, Adele Ramos, Jennifêr Garib and Savitri McCrea, Gonzalo Duran, Alexus Rodriguez. New York State Senator at New York State Senate Diane J. Savino, Caroline “CeeCee” Reyes, Frankie Allday, Mapi Montero, Chanel Lopez, Silvia Smith, Daniella Mendez, Roman Suarez, Eileen Remor, Marquis Devereaux, Joyce McKinney, Maria Aponte, Ferlie Almonte, Agnes Rivera, Louis E. Perego Moreno, Charlie Vázquez, Orlando Ferrand, Gary Axelbank, Karen Hoyos, Wilhelmina Perry, Appolonia Cruz, Francisco Moya, New York State Assembly, New York, District 39, Etc. Sponsors and Partners of the event: Inca Kola, MetroPlus, Puerto Rico Para Todos, Bronx Boro President Office, Public Advocate Letitia “Tish” James, Lotus Flames Restaurant, Malta El Sol, New York State Senator at New York State Senate Diane J. Savino, Francisco Moya, New York State Assembly, New York, District 39, NYC Justice Dept. BronxNet.